A look at the uneasy relationship shared between RBI governors and the government in power over the last 80 years. The question is being asked everywhere: Is the current governor of the Reserve Bank of India (RBI), Raghuram Rajan, on a good wicket with the government? The finance ministry and he both say yes but by all accounts, there does seem to be a rift in the lute. Like many governors before him, Rajan is not doing what he is being told to do and the government is upset. They may not actually part but there is little love lost between the two. This is not new. The finance ministry and RBI have clashed continuously for 80 years now. It's in the very nature of things (and not just in India). Tensions between them started with the very first governor who, for all practical purposes, was sacked. Since then, of the 23 governors it has had so far, five have been "requested" by the government to go for what is essentially disobedience. The remaining 18 have not had an easy time. T T Krishnamachari (TTK), Nehru's outspoken finance minister, was the only one to actually call RBI a "subordinate office" of the finance ministry. But the others in the finance ministry have tended to treat it as such - including Manmohan Singh. The irony is former finance secretaries who have become governors have found themselves at the receiving end when they have lodged themselves at RBI - again including Manmohan Singh (he was never finance secretary, though). The five who were deemed to be wanting in subordination and asked to go are Osborne Smith, the first governor, Benegal Rama Rau, S Jagannathan, K R Puri and R N Malhotra. A fog of sorts surrounds Smith's departure. It is still not very clear exactly why he was sacked - for his awkward social habits or for siding with Indian businesses on the matter of interest rates. Chances are it was a bit of both. But one thing is not in doubt. The finance member of the Viceroy's Council, John Grigg, regarded him as a nuisance. The former problem probably tilted the balance. Benegal Rama Rau's departure has been well documented by the RBI itself in Volume Two of its history. He resigned after a public spat with the finance minister, TTK, who yelled at him outside the Cabinet room for sticking to his guns. Rama Rau, in deep dudgeon, asked Nehru for support. Nehru declined. Rama Rau resigned. After that, RBI was never quite the same again as far as independence goes. In spirit, if not in letter, it has indeed become a subordinate office. As one governor put it, RBI is totally free to act as it wishes to within the bounds set by the government. S Jagannathan, an old style ICS officer, ran into difficulties with the government over - the word in RBI has it - Maruti's credit limit. He was asked to go two weeks before his term was over and he riposted by announcing the slack season credit policy for 1975 without consulting the finance ministry. Manmohan Singh, then the chief economic advisor, was incensed. He flew down to Bombay and berated the RBI officials. How dare you, he asked. K R Puri had to go when the Janata government came to power in 1977. He was seen, rightly perhaps, as a 'Sanjay Gandhi man'. In 1983, the finance ministry threatened to take away the RBI's bank licensing powers - just as it seems to be threatening to take away its powers to determine interest rates. Pranab Mukherjee was the finance minister then and Manmohan Singh the governor. R N Malhotra resigned after receiving a broad hint from Yashwant Sinha, who had become finance minister in Chandra Shekhar's short-lived government of 1991. Earlier, he had had a tough time with the finance ministry from 1988 onwards, which ignored his warnings over the increasing fiscal deficit. Ironically, the one who ignored him most - and at great cost to India as it turned out - was his former subordinate, Bimal Jalan. As finance secretary in 1990, Jalan would not even reply to Malhotra's communications on the fiscal deficit. The reason why RBI and the ministry are always hissing and spitting at each other is that they have different mandates. The finance ministry's mandate is political, to maximise employment. RBI's mandate is economic and it is to minimise inflation. Any garden variety economist will tell you that, except occasionally, these are mutually contradictory mandates. Fiscal policy and monetary policy make for uneasy bedfellows. How uneasy the relationship is depends on two things: The way the finance minister and the governor get on with each other or some very specific provocations - eg Y V Reddy and his participatory notes problem with P Chidambaram. 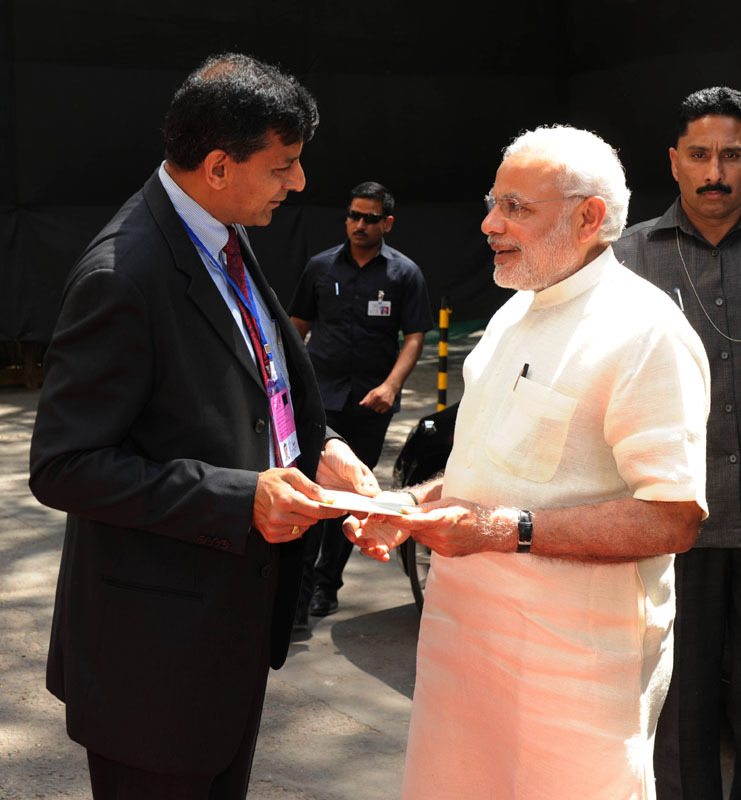 T C A Srinivasa-Raghavan was a consultant to the RBI for Volumes 3 and 4 of its history. The views are his own. Who was the first RBI governor? Poll: Is Subbarao the 'worst performing' RBI Governor?